Choosing the Right HVAC System for Your Household - Frederick Air, Inc.
There’s a lot of information needed in order to choose the right HVAC system for your household. When choosing a new comfort system for your family, you need to consider which brand is best, what size your home needs, and the kind of system that’s right for you. There are many brands on the market today, all claiming that their unit is the best. Our advice is to stick with a brand that only manufactures heating and air conditioning equipment, lots of brands or appliance companies that also make HVAC equipment. You’re looking for one of the major suppliers such as Carrier, Bryant, Trame, York or Lennox, these are companies that only focus on heating and air conditioning. As far as technology, there’s not a lot of big secrets in the industry, everybody pretty much has this comparable equipment. At Frederick Air, we have chosen to align ourselves with Bryant. We have been a Bryant dealer since 1992, and the honor of being selected as a factory authorized dealer as soon as the program started in 2004. In fact, we are Frederick’s only Bryant Factory Authorized Dealer. If the application warrants it, we can buy other brands, but Bryant has such an extensive product line that it’s rare that we can’t find a match. It’s in everybody’s best interest when we stick with one brand. We see if we’re buying different brands all the time when we have a problem we’re just another contractor looking for help. But because we always buy Bryant, on the rare occasion that we have a problem with the equipment, we have the strength of a strong longstanding relationship to help us get results. When it comes to system selection, your home will pick the size. What I mean is, the tonnage or size of the system that’s right for your house is determined by the square footage, exterior exposure, duct system design, and other factors you have no control over. The right size unit is critical. A unit that’s oversized will cause unnecessarily high utility bills, uneven temperatures, and poor humidity control. An undersized unit will run all the time, and still not be able to keep you comfortable. You’re going to hear a lot of industry jargon such as SEER, HSPF, and AFUE, these are all terms that describe how efficiently the equipment operates. Like miles per gallon for your car, the higher the efficiency number, the lower the cost of operation. Basically, the more money you pay up front for a system, the better it will perform for you. The bottom line, superior systems are quieter, last longer, and save you money in the long run. Buying an HVAC system is not like buying a TV, you don’t just buy it and bring it home and plug it in, proper installation is critical. And unfortunately for consumers, the installing contractor is usually the weak link in the chain. 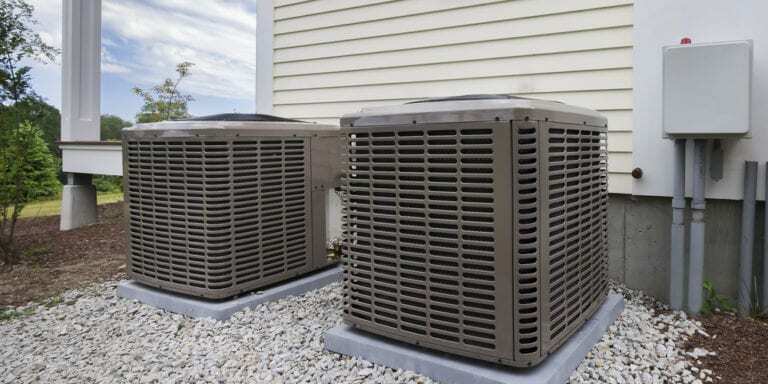 This article is a part of our series, Secrets to Buying an HVAC System. Have you seen them all? Why Choose Frederick Air for Your New System? The videos in this series were recorded around 2008 but the information is timeless and still relevant today.